The Royal Enfield 650-cc twins are one of the most awaited bikes of this year, in India. The 650-cc Interceptor and Continental GT are an all-new product developed by the Indian brand, and will be available in global markets. 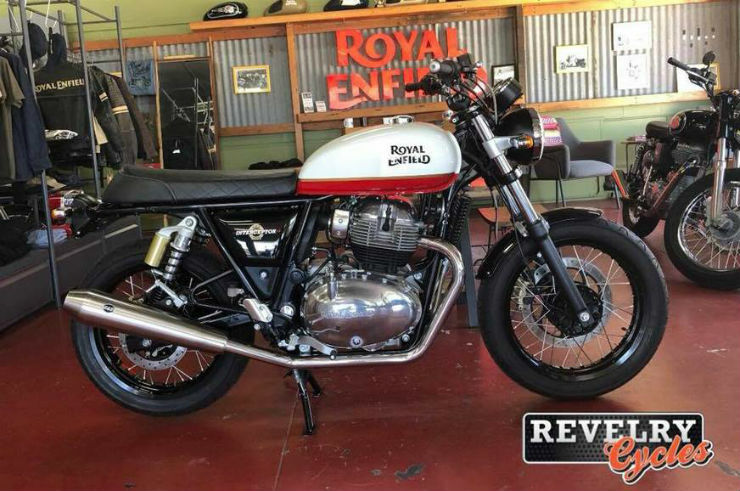 Recently, two new production colour schemes were spotted a Revelry Cycles, a Royal Enfield dealership based in Sydney, Australia. The new pictures show the bikes in twin colour schemes, at the dealership. The Interceptor can be seen in a white/red colour scheme while the Continental GT 650 can be seen in a black/grey dual paint scheme. The tank of the Continental GT gets a golden stripe running across it. Apart from these two changes, the motorcycle remains visually unchanged from the bikes Royal Enfield showcased in India and at the 2017 EICMA show. Royal Enfield is expected to launch both the new motorcycles in the Indian market by May/June. However, many export markets have already started receiving the all-new bikes and the international launch looks closer than the launch date in India. Royal Enfield has followed a similar schedule in the past too when they launched the Classic series of the bike in international markets before launching them in India. Royal Enfield has also announced the price of the bikes in the Australian market. 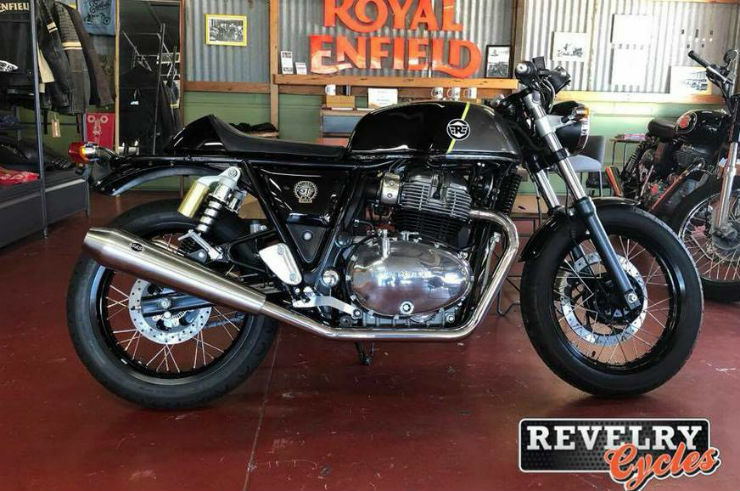 The Interceptor is priced at AUD 10,000 while the Continental GT 650 is priced at AUD 10,400. It roughly translates into Rs. 5 lakhs and Rs. 5.4 lakhs in Indian currency. Because they will be made in India, the price in the domestic market will be cheaper by at least Rs. 1 lakh. Both the bikes will be powered by a newly developed 647-cc, parallel-twin cylinder engine that gets fuel injection and oil-cooling too. The engine produces a maximum power of 47 Bhp and 52 nm of peak torque. It gets a 6-speed transmission with the slipper clutch as standard. The bikes also get telescopic front forks, gas-charged shock absorbers, spoked steel rims and disc brakes on both the wheels. The bikes are expected to take on the Harley-Davidson Street 750 in the Indian market.